Rectorate, UIN News Online â€“ UIN Jakarta held a series of religious activities during Ramadhan, in the form of â€œRamadlan in Campusâ€. 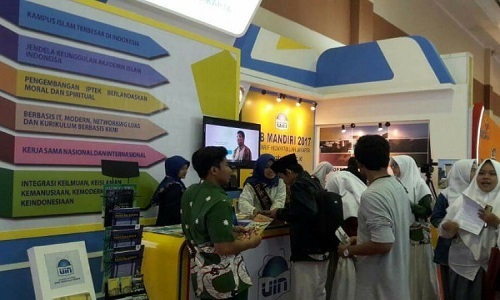 The activities will be centered at UIN Jakarta Mosque and filled with several activities such as religious lectures, break fasting, and musabaqah murattal Qurâ€™an (MMQ) among UIN Jakarta employees. This was conveyed by Ramadlan in Campus committee chairman Drs Syamsul Arifin MPd to UIN News Online team in Rectorate Building, Tuesday, (6/6). â€œRamadlan is a good month, in addition to fasting, we must also add another positive activity so that Islamic preaching activities to be more visible on campus,â€ he said. According to Syamsul, the activity will be last for a month. 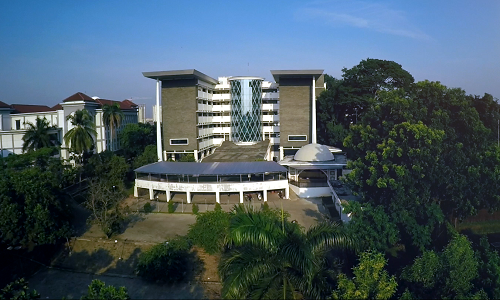 Religious lectures will take place every day after Dzuhur prayer at Al-Jami’ah Mosque of the Student Center building, campus I of UIN Jakarta. Other activities such as MMQ will be held on June 13, 2017. This MMQ only involves employees as participants. “We just want to know how good and precise the readings of al-Qurâ€™an when recited by UIN Jakarta employees,” he added. Moreover, the committee will invite the Minister Minister for Political, Legal and Security Affairs Coordinator Wiranto to break the fast together with all UIN Jakarta officials on June 13, 2017.